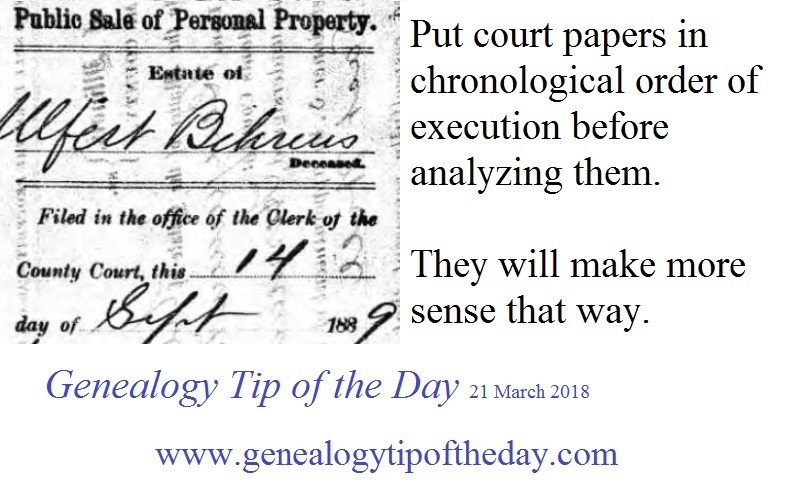 Court and probate papers often are not in chronological order when the genealogist gets them. Before analyzing the materials, put them in chronological order first. Use the dates the documents were executed for this sorting, not the dates they were filed or recorded. 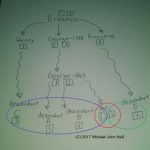 Sorting them will make it easier to see the flow of activity. Never realized that, thank u.!